No matter what the reason, Phil Howard Construction LLC's residential remodeling services could be right for you. With a proud history of providing our clients with our expertise, we're the go-to folks in town for homeowners in the market for a bit of a change. Why Choose Phil Howard Construction LLC For Your Residential Remodel? Remodeling can be stressful, but with Phil Howard Construction LLC's commitment to efficient and reliable service you won't have to worry about a thing. Our team is careful and respectful of your home; we'll never muddy up your floor with our boots, and before we start to work we'll carefully move all your belongings to a safe place, out of harm's way. The most important step in the entire remodeling process is the first one, where Phil Howard Construction LLC sits down to discuss your specific needs and hopes for the project. 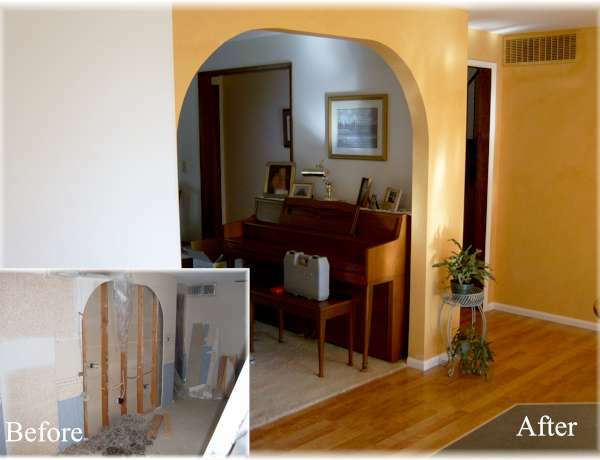 In doing this, we can move forward with the remodeling with a clear sense of what you have in mind, and you can rest easy knowing everyone involved is on the same page. If you're remodeling multiple rooms in your home, or even if your focus is just on a single room, it makes sense to stick with the same company throughout, so there is a consistent style and vision for the whole house. Not only will the aesthetics of your home benefit from Phil Howard Construction LLC's concise design skills, but you won't have to worry about keeping on top of multiple contractors. Another major benefit of trusting Phil Howard Construction LLC for your entire remodeling project is that we take care of everything from start to finish—from the early planning phases to when we apply the final coat of paint, you're dealing with a single company. No miscommunication, no surprise fees, no misunderstanding of your vision; with Phil Howard Construction LLC, the process is straightforward, painless and worry-free! Our clients love our dedication to customer service, no matter how small the project or budget is. When you choose Phil Howard Construction LLC, you're choosing a company that is results-driven, and who doesn't consider a job done until the client is fully satisfied. For all your residential remodeling needs, Phil Howard Construction LLC has the skills and expertise to deliver results that consistently exceed our client's expectations. For more information about what we can do for you, or to get a quote for our services, get in touch with us by phone or through our website. We look forward to working with you, and to giving you the home you've been dreaming of.